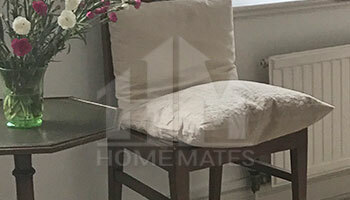 Keep your home neat and clean thanks to the professional home cleaning services provided by HomeMates in Battersea, SW11. Book your cleaner now! If you need a professional house cleaning provider that is inexpensive and available in Battersea, SW11, have a look at our services. We have very effective and reliable cleaning solutions for your home, whether an apartment or house. We cover a great deal of chores such as vacuuming, laundering, mopping, dishwashing, dusting and the like. We offer flexible working hours, including Saturdays and Sundays. You can get in touch with us via our online enquiry form or by phone. We will be happy to hear from you, either way. It makes sense to hire one of our cleaners to clean the bathroom and living areas, mop the floors and clear the clutter each week. By allowing someone else to take care of your home you will be able to use the extra time to spend more time with the ones you love or to just relax. If you can afford to hire a housekeeper, why not do it? Especially considering that our house cleaning service is very inexpensive and will certainly fit a tight budget. After all, you can personalise it to suit your needs best, include only the tasks you need done and determine how often our maids should pay you a visit. And that’s it. Once we arrange all the details of the service you need, we’ll put it into action. You are free to use our service for as long as you want. Keep in mind that we are non-judgemental cleaners. Don’t worry about the condition of your place. We will never discuss your home with other people or reveal any personal information. We are professionals and part of our job also involves being discreet. You have our word. Now, we would like to invite you to learn more about our service in Battersea, SW11. We are sure you will be tempted to book one. Make sure you get in touch with us if you need professional house cleaning.